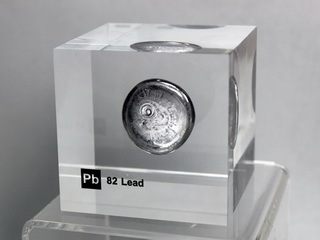 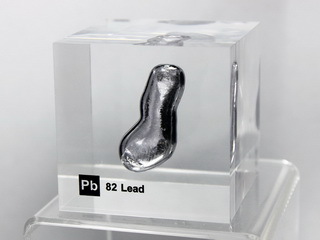 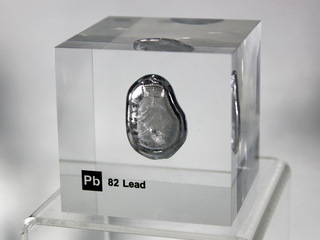 Lead has been known of and used since prehistoric times. 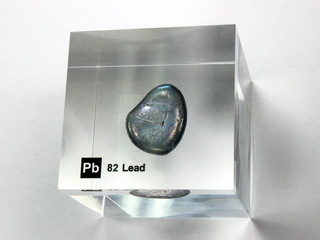 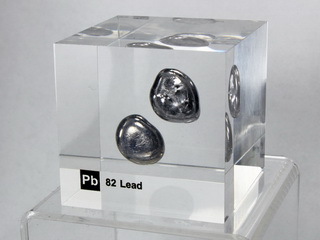 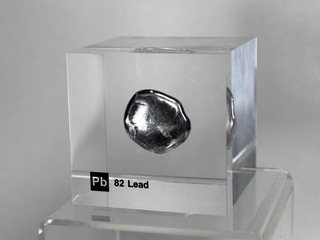 Lead is a soft, malleable and ductile metal. 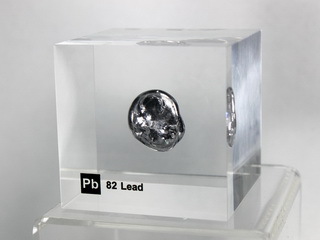 It has an abundance in the earth's crust of 14 ppm., the main source of the metal being the ore "galena", lead (II) sulfide (PbS) which occurs as grey cubic crystals, often in conjunction with "sphalerite", the equivalent sulfide of zinc. 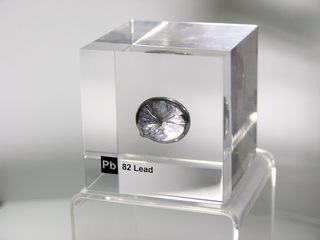 Lead oxidises readily in moist air, is stable to oxygen and water, but dissolves in nitric acid. 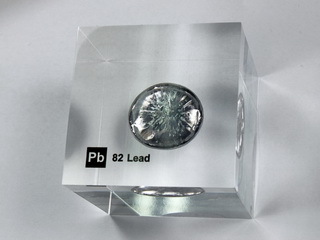 It is a poor electrical and thermal conductor but has reasonable corrosion resistance. 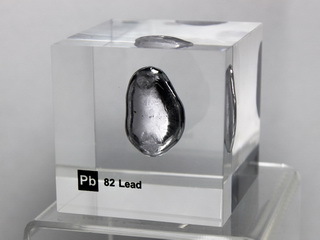 Applications for this metal are wide and varied; for example, its relative imperviousness to radiation makes it ideal as radiation shielding material for use with X-ray equipment. 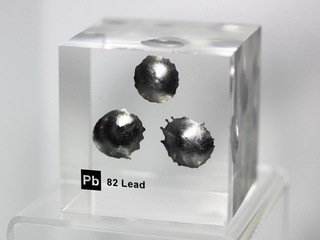 Lead is also used in ceramic glazes, batteries, paints, as a fuel additive in petrol (lead tetraethyl) and as a prime constituent of soft solders. 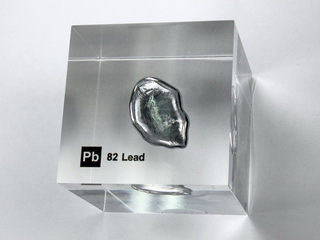 However, its use is now being discouraged as lead is now known to be detrimental to health, particularly to that of children.